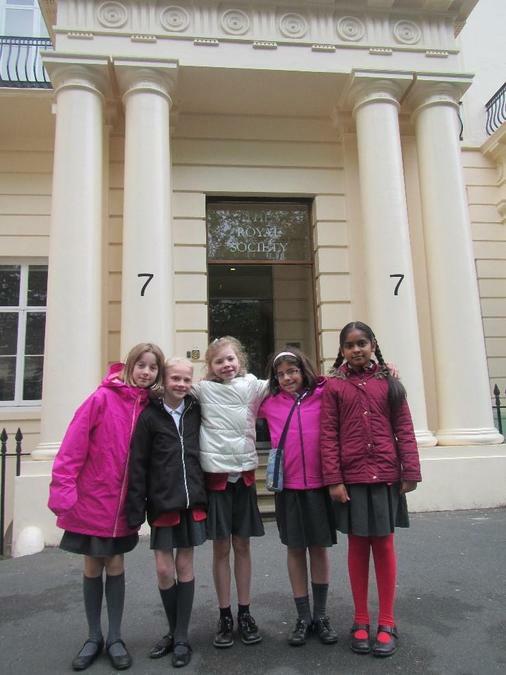 Five Year 5 girls went to the L’Oreal-sponsored ‘Women In Science’ event. It took place at the prestigious Royal Academy in central London. The girls heard about the jobs of many successful women working in various fields. Among others, we heard about the work of a civil engineer, a forensic archaeologist, an orthopaedic surgeon, a scientific legal advisor, a magma-physicist who studies the Northern Lights and a pharmacist who advises L’Oreal. The girls asked the scientists some great questions about their work. Let’s hope that this experience inspires these girls (and other pupils) to become ‘women in science’ in the years to come.